Who doesn’t like making a big splash with a pool party? A relaxing celebration with delicious drinks and some close friends is the quintessential summer activity. But having a pool party isn’t like swimming in the shallow end; playing host actually takes a lot of work. So are you up to the challenge? There’s a lot to consider when ensuring your guests have a fun time partying the night away. 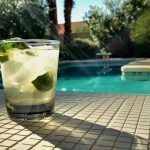 Let the experts at Shoreline Pools offer up some tips to make your pool party extra memorable. While it’s great that you have so many friends and family, don’t forget to consider how big you want your party to be. Deciding early on whether you’re going to have a big or small party makes planning more effective, as you’ll know how much of everything you need from food to supplies. Being a host is a big responsibility, so make sure you’re prepared! In most cases, bigger is not always better. Invite the amount of people you can handle, and go from there. Picture this: you have everything set up, food, chairs, etc. Your guests arrive. Everyone greets each other with huge smiles and then they move to settle down near the pool…without music. Sure, the conversation will carry for a while, but the lack of music will soon become so glaring that your guests won’t help but feel awkward. Set up speakers around the pool area to keep the music pumping loud and clear. Don’t own any? Opt for a portable speaker. It’s convenient and provides quality sound. Whatever you do, just make sure music is present. It’ll keep your party and guests upbeat and excited. Crank up the music and get that party started! Do I Need Pool Snacks? What kind of party doesn’t offer guests any food? (Hint: Probably not a very good one.) You don’t have to go overboard or get fancy. Keep the snacks simple so that everyone can munch on some tasty treats while they dip their feet into the water. Run of the mill pool snacks are more than adequate: think pretzels, chips and guacamole, baby carrots, celery, and hummus. If you want to go further, get grilling! Bon appetite! Admittedly, this one might be a bit trickier; but if you pull it off, it’ll surely enhance your party. In most cases, your guests are likely to bring their own supplies. But if YOU have lotion, towels, and sunscreen for everyone to use on hand, your guests will appreciate the consideration. Just make sure everything is fresh and new (i.e. make sure no one is using any used towels, gross). Get ready to add some flavor to your party. Sure you can go the easy route and buy liter bottles of soda to serve everyone, but having a drink station offers more variety and creativity. Pick up some glass drink dispensers and fill them with options like mixed non-alcoholic drinks and flavor-enhanced water to really get the party started! Just the simple sight of these beverages will have your guests intrigued, and show them that you went the extra mile. Who needs soda when you can have appealing, flavorful alternatives? And, of course, use plastic cups so that you aren’t stuck with a mountain of dirty glasses to clean. 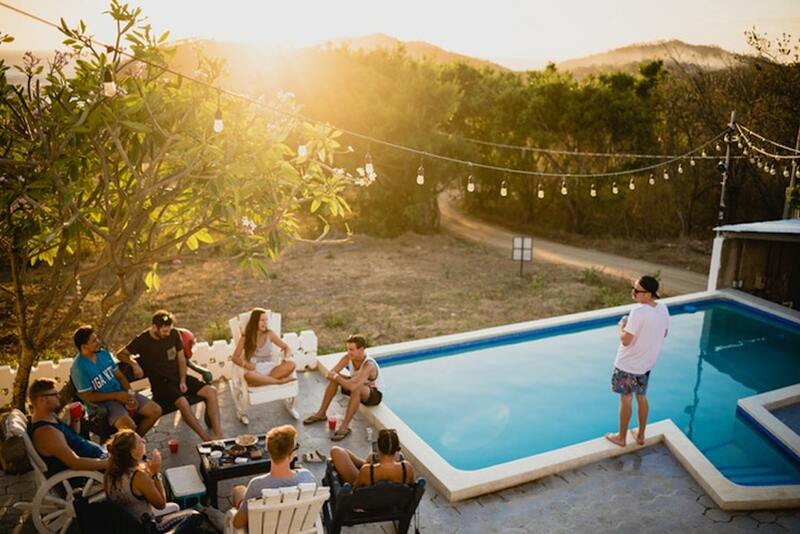 It’s tough to plan and throw an amazing pool party and keep everyone happy, but if you follow these simple rules, you’ll have absolutely nothing to worry about. Your party is sure to be great, not to mention memorable. Now sit back, grab a drink, and let the soiree begin! Need some more insight on how to entertain poolside? Read more blogs about entertaining poolside.